The Epica Awards have launched their 2015 season with new categories. The Epicas are global creative awards, with the distinctive trait of being judged by journalists representing the specialist trade press. 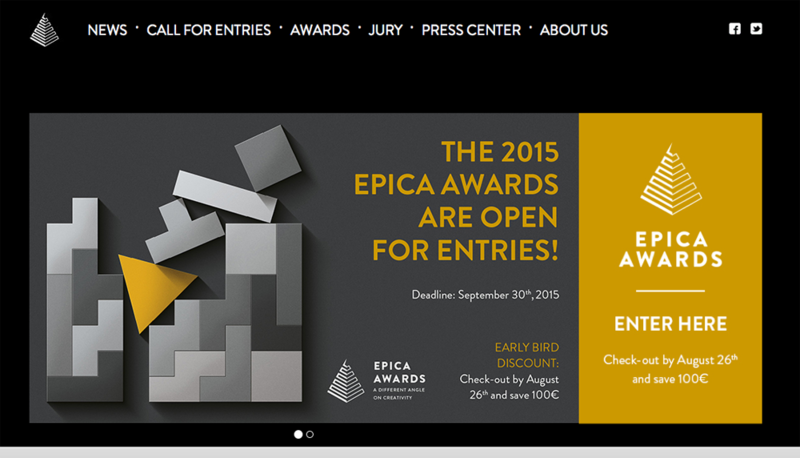 The Epica Awards 2015 are now open for entries, with an “early bird” discount of €100 for agencies who enter their work before midnight on 26th August. The official deadline is 30th September. This year there are 7 new categories: Epicas becomes the first global creative awards to introduce a Virtual Reality category, recognising the work that agencies are doing with the Oculus Rift, and similar devices.Other new categories this year include Personal Electronics & Devices; Restaurants, Bars & Cafés; and Product Design. There is also a new Humour category. The large Public Interest category has been divided into Health & Safety, Social and Environment.The jury meeting will be held in Berlin (Germany) from 16th-18th November, followed by the Creative Circle conference and prize-giving ceremony on 19th November. AdAsia is once again media sponsor for the Epicas. This year the ceremony with its familiar crystal pyramid trophies will be held in Berlin.